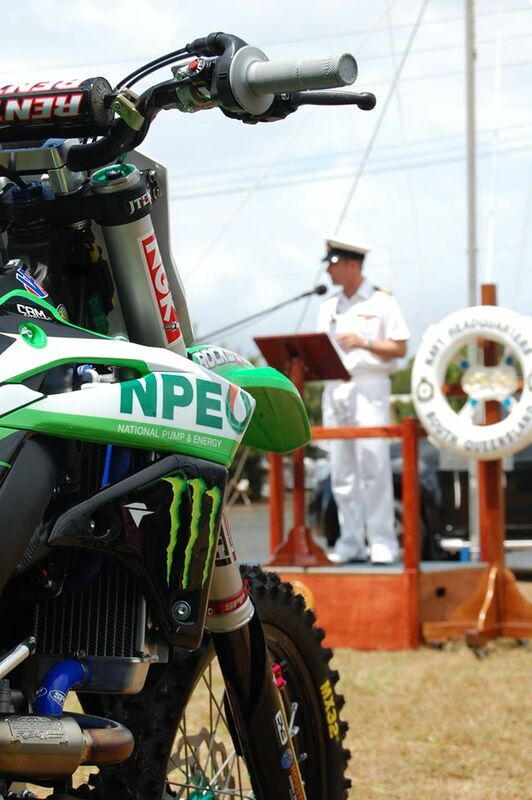 National Pump & Energy officially launched it’s major sponsorship of the 2016 factory Kawasaki team at the Navy Headquarters in Brisbane. 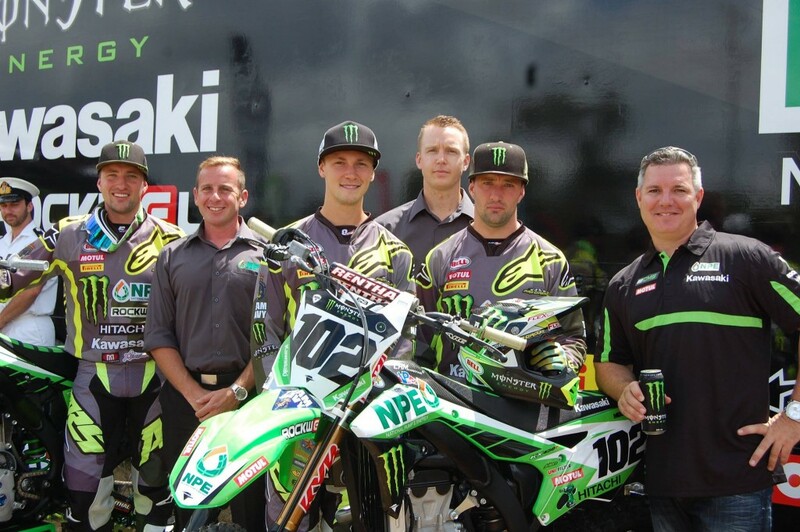 The National Pump Monster Energy Kawasaki team consists of the high profile riders Matt Moss, Kade Mosig and Jake Moss, competing in the national MX1/SX1 and the MX2/SX2 competitions. Multiple national champion, Matt Moss will challenge for the 450 class championships alongside team mate Kade Mosig. 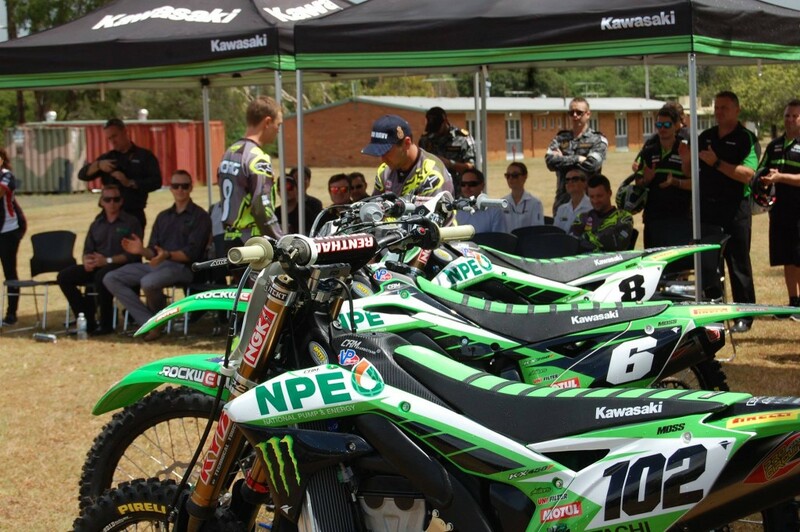 Kawasaki stalwart Jake Moss returns to competition to contest the competitive 250 series. All three riders have been looking excellent in pre-season which gives us high hopes for the 2016 season. 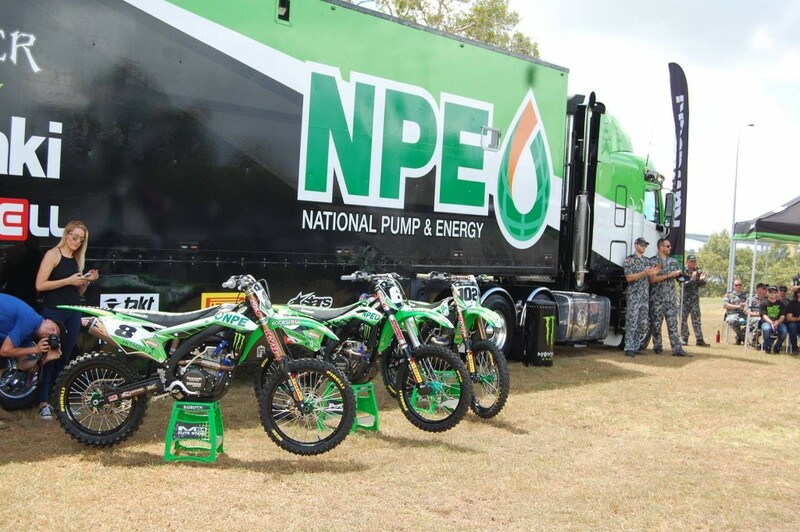 Former Australian motorcross champion and team manager Troy Carroll, is extremely confident of the new rider combination, as well as teaming up with National Pump & Energy again. 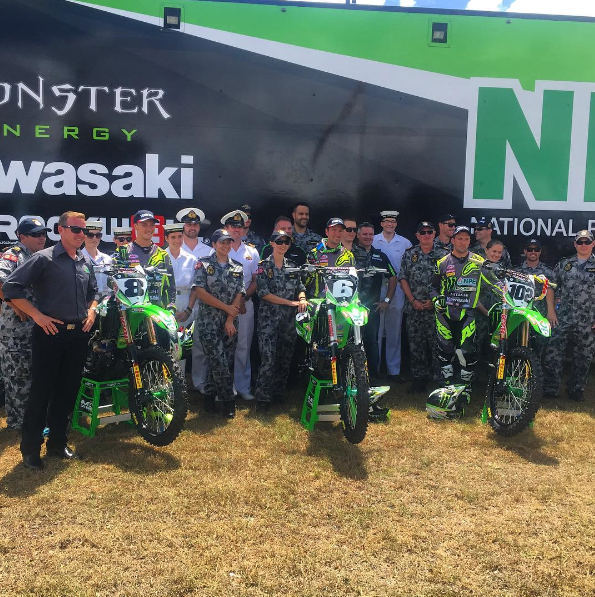 The 2016 MX Nationals, Australian Motocross Championship, season gets underway on 3 April at Horsham in Victoria, where Matt Moss, Kade Mosig and Jake Moss will officially commence their national racing campaigns as part of the National Pump Monster Energy Kawasaki team.